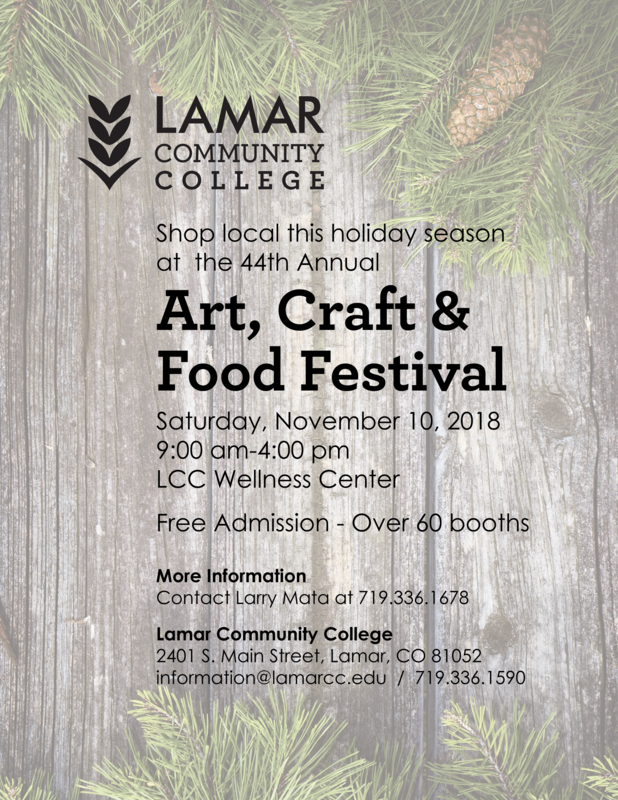 LCC will host its 44th Annual Art, Craft & Food Festival on Saturday, November 10, 2018, from 9:00am-4:00pm in the Wellness Center. This event takes place each November with over sixty vendors presenting their goods to more than 500 attendees. Vendors may reserve a booth by downloading and returning both the application and waiver. Do you have a current City of Lamar Business License? 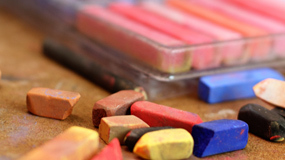 You must have a valid license to sell goods or services at the craft fair. Complete the City Sales Tax License application and return to the City of Lamar. 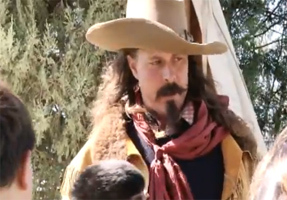 See history come to life at the Frontier History Encampment! With the assistance of community partners, Lamar Community College proudly hosts this biannual educational opportunity that brings the American Frontier to life for visitors. On September 29-30, the biannual Encampment was held on the Lamar Community College campus. This living history experience will bring expert first-person historic interpreters to campus to create a walk through immersion into the 19th century. Attendees met and experienced camps of Native Americans, fur trappers and traders, pioneer women, Civil War cavalry, artillery and infantry, a Mexican vaquero, chuck wagon cooks, buffalo hunter, soiled doves, and more. The Encampment is a one of a kind celebration of the many different groups and cultures who called this part of the country home for one hundred years. The event is always free and open to all ages. FACEBOOK: Find us on Facebook to see photos of past events and learn more about the event. The Encampment illustrates what life was like on the Great Plains from 1800 – 1890, with attendees progressing through different periods in time. The event draws hundreds of attendees from Colorado and neighboring states. Unlike static museum displays, attendees interact with living historians by asking questions, joining in activities, and listening to the historians’ tales. This project is funded in part with revenue from the Prowers County Lodging Tax Tourism Panel. The 2016 Girls in the Middle Conference was held on March 5, 2016, during which attendees were encouraged to “follow their arrow” and pursue a career they are passionate about. The 2017 Girls in the Middle date has yet to be set. This conference is a one-day event held on the first Saturday in March of each year. Its purpose is to introduce middle school girls to careers in Science, Math, Engineering, Technology and Healthcare. Professional women lead interactive, hands-on sessions for exploration. Built on a proven and popular format and formula, this is an excellent opportunity to empower girls to look beyond “traditional” female occupations to make an informed decision about their futures. Participation in this conference during their middle school years encourages girls to stay engaged in math & science and plan their high school courses accordingly. To learn more, visit the Girls in the Middle website.